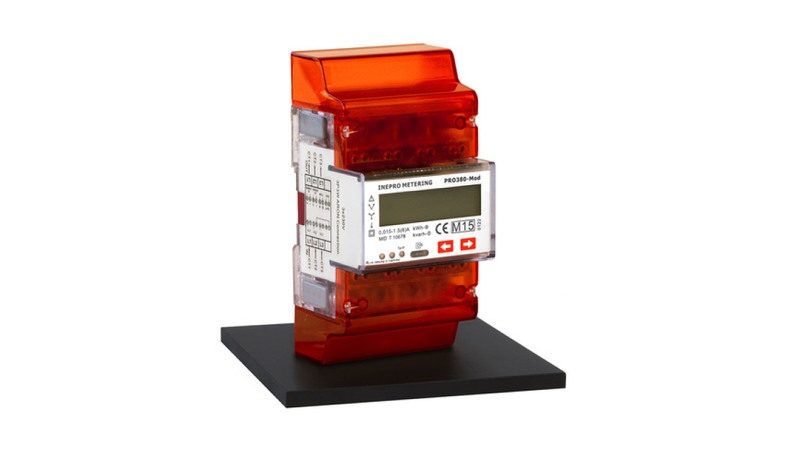 The CT version of the PRO380 series is a three phase transformer connected meter for 5A secondary current. Together with our PRO current transformers the meter can measure a primary current up to 7500A. The selectable CT ratio makes it possible to read primary currents from 5A up to 7500A. The Standard- version is easy to connect, easy programmable and easy to navigate with the two buttons. The PRO380-S has a selectable S0 output and can communicate and be programmed via an infra-red input. The total energy usage of the meter can be calculated via 5 different modes. The PRO380 Modbus CT offers a built in Modbus (RS-485) communication interface. The PRO380-Mod can communicate and be programmed via Modbus. The CT connection and the possibility to read out over 60 variables make that the PRO380-Mod is very popular and widely used in industrial plants. If you are looking for the complete metering solution please visit www.ineprometering.online. With our GSM modules and online platform you can access the Modbus data of your PRO380-Mod anywhere at any time. The M-bus CT version of the PRO380 series can be integrated in any M-bus installation in combination with all kinds of gas, water and other electricity meters. When you are looking for a very cost effective meter which makes remote reading possible, the PRO380 M-Bus is the best choice. This meter is equipped with the European standard M-Bus protocol. The PRO380 CT version might also be interesting when you are not able install a direct connected meter in your installation. Together with our PRO split core current transformers you can measure the energy usage of any installation by using the PRO380 as an external device. The PRO380 smart energy meters come with great quality and a 5 year guaranteed warranty.